As I have discussed in the past, I tend to use in-ear bud style hearing protection and have a lengthy negative history with muffs. SportEAR changed a great deal for me. The M-4 Electronic muffs provide all you would expect from electronic hearing pro and more. Yes, you can maintain regular conversation while protecting you hearing from damaging volumes. That’s the primary function for any hearing protection on the market. The noise reduction rating on the M-4 muffs is 25 dB which is about average for muff style protection. Electronic sound protection isn’t new either. So, what sets SportEAR apart? For me it’s 2 fold, the comfort and electronic advancements. First, comfort, the M-4 muffs are fully adjustable for size as you may expect but most muff headbands are very stiff. The spring tension exerted by other muffs makes them quite tight on my head (which granted, is rather large), while that tightness is good for keeping a sound barrier seal it can give you a headache very quickly. I’ve never found muffs to be even remotely comfortable for that very reason. Tight muffs can turn a therapeutic, fun day at the range into pain and additional stress. Further, I wear gauged earrings, four of them. That may or may not be a popular statement, but I make it to demonstrate another difficulty I’ve had with muffs in the past. Earrings, unlike ears aren’t exactly flexible, many times I have had great difficulty getting a seal leaving me with pain in my ears and a headache from both pressure and noise. The electronic features are what really sets the M-4 muffs apart. These muffs have independent volume control knobs which allow for hearing magnification of up to five times normal levels while filtering out damaging levels. Most electronic muffs incorporate a microphone on each side so that the intensified sounds come at you in stereo, this allows you to determine if sound is originating from one side or the other. That’s helpful for hunting situations especially. However, it doesn’t really pinpoint sound so much as provide a general direction. The M-4 muffs have two microphones per side facing forward and backward, allowing for four way directional sound. You can actually tell from where sounds are emanating. This is a big step for electronic hearing protection as a whole and makes it much more attractive for sporting use. I won’t say that the technology is perfect. The directional sound is certainly better than any alternatives I have seen yet (especially since I have a few issues with my hearing anyway), but it’s not as precise your actual ears. I’ve also, noticed a very occasional buzz or tone that can occur and make you wonder what you just heard. But the frequency of such events was low enough that it really wasn’t a significant issue. In fact, by way of comparison, I’ve purchased electronic muffs in the past that ate through batteries quickly and ceased to function after only a few months. 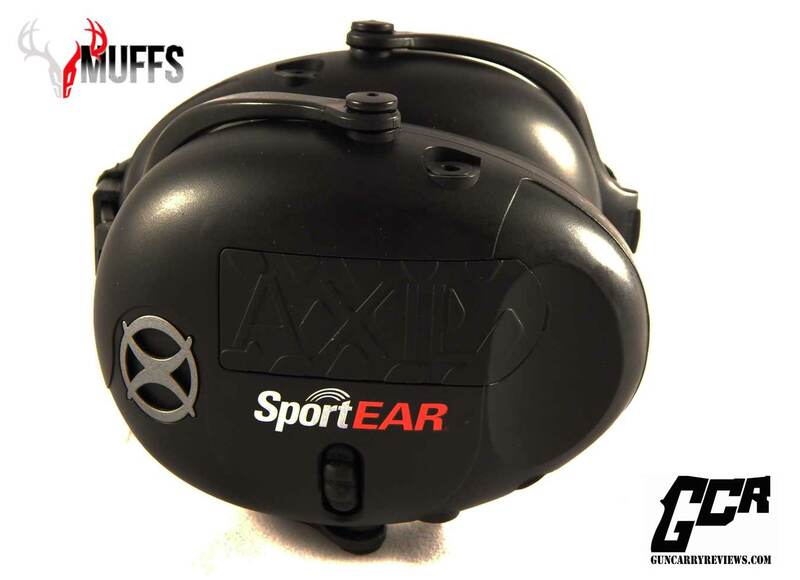 The SportEAR M-4 muffs have been a much better experience and from what I can see are coming in at a very reasonable price point. I would recommend them for anyone that want this style protection.